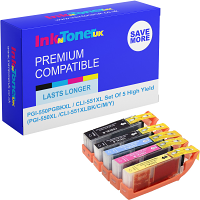 Home Ink Cartridge News Want a free Xmas gift? Christmas is here! Here at Ink n Toner UK we are giving away a FREE 5 metres of Christmas ribbon to all of our customers that spend £25 or more on anything including, ink cartridges, toner cartridges, label tapes, 3d cartridges, photo paper or memory products. Fill your stockings with our decorative printed Christmas ribbon for free from inkntoneruk.co.uk now. You get 5 metres worth so that’s plenty to decorate a few presents and make them look pretty before they get open on Christmas day. To claim your free 5 metres of ribbon all you need to do is enter the coupon code: RIB15 in the checkout at Ink n Toner UK. Hurry, as this fantastic offer is only available until 18th December 2015. 1 per customer. We have two weeks left till Christmas. Keep coming back to our blog where we will show you how to create your own printable Christmas cards. To stay up to date with our offers you can follow us on our facebook page or twitter page.